Today would have been the 80th birthday of the Godfather of Soul, James Brown. One of the greatest performers that Rock has ever witnessed, Brown was a trailblazer who combined Rock, Soul and R&B to create a totally original sound. This week's Rockin' Friday tune is Brown's classic I Got You (I Feel Good). With its notable sax solo by the legendary Maceo Parker, this tune exemplified Brown's unique Funk arrangements and simple but complex lyrics. A song about happiness caused by being in love. What could be easier than that? But Brown managed to mix it up and give it some real flavor. I Got You was one of Brown's biggest "hits" of his career, reaching #3 on the charts in 1965. But Brown managed to build a great career without being a pop sensation. His shouts on this tune, and many of his others, influenced generations of soul, funk and hip-hop stars. And Eddie Murphy. 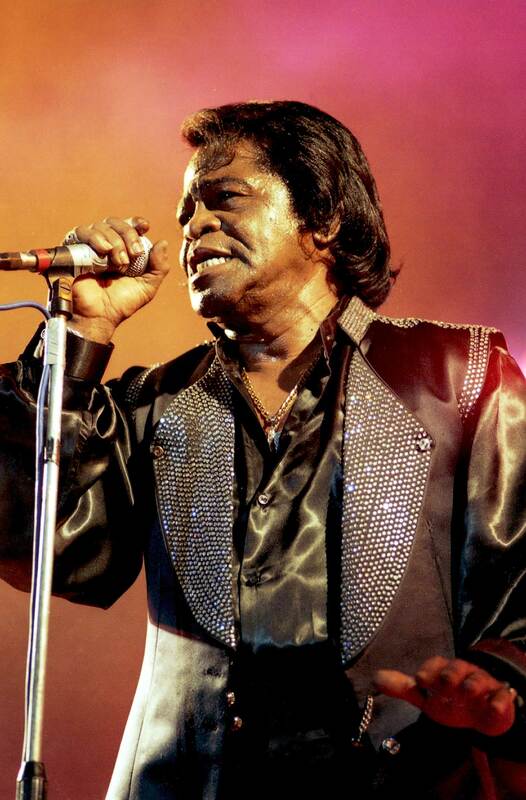 What's your favorite James Brown tune? I had an uncle named James Brown. For an old white man, he did a good JB impersonation.